As the celebrated Zachary designer applies the finishing touches, come see inside. Every little girl fantasizes about finding her dream home, whether it be a sparkling castle, a secluded cottage in the woods, or a sleek penthouse apartment high above the city. But few discover their perfect home standing just down the road. Fewer still make it theirs in adulthood. But Melane Landry, owner of Signature Southern Accents, has done exactly that with her just-finished house in Central, Louisiana. Come see. Even though the 1926 Creole dogtrot cottage needed a ground-up renovation, Melane made every effort to retain the characteristics she loved as a girl, such as its inviting entryway and cedar tongue-and-groove paneling. Now with decades of merchandising experience as the owner of Zachary’s premier interior design store, Signature Southern Accents, Melane loves the house still—more specifically for its open floor plan and rustic details, such as the original board-and-batten, she’s supplemented with Western Cedar board-and-batten she sourced herself. “I never had an appreciation of cedar until now that I own a whole houseful,” says Melane. With the kind of rustic-meets-elegant-country style that befits both the home and its owner, this powder room reflects Melane’s knack for making beautiful things belong together. 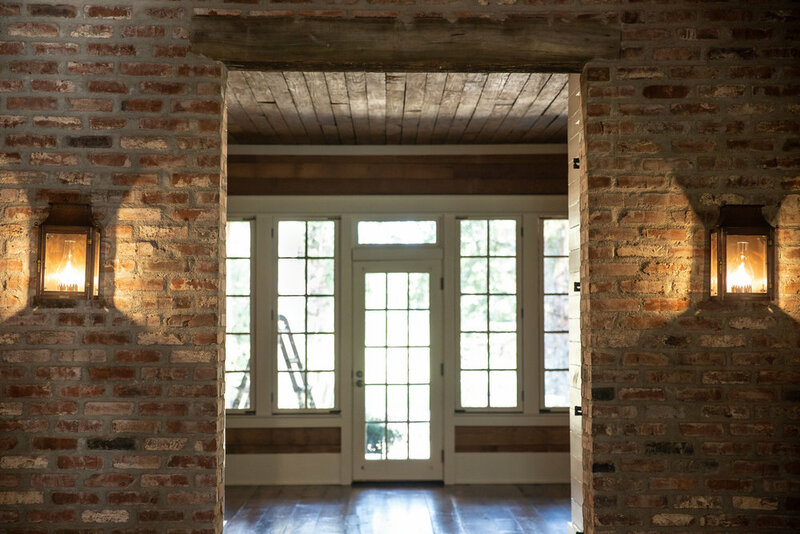 Since November 2017, Melane and her crew, led by her contractor brother-in-law, have done extensive renovations on the 1926 Creole dogtrot house, keeping much of the original wood, glass, and other features, while updating other aspects to Melane’s high standards as both designer and client. “These ceilings are original, these walls are original,” Melane points out on a walk through the nearly-complete restoration. 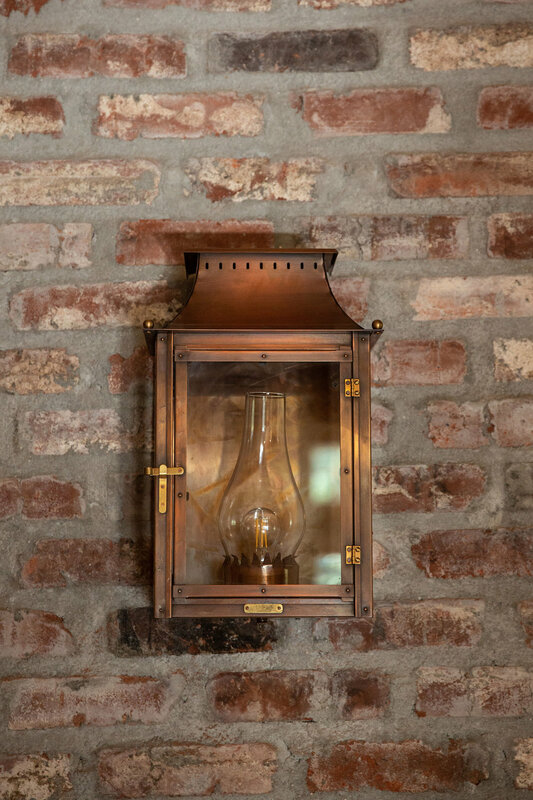 “When you clean them with Murphy’s oil soap, it really brings the color out.” Original gas lamps flank the front door, “but the ones that I’m putting on the back came from Bevolo Gas & Electric Lights in New Orleans,” Melane says. 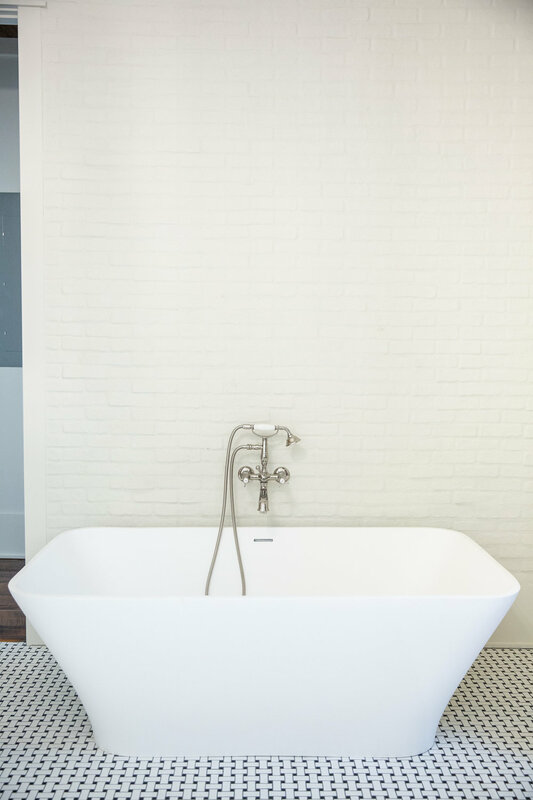 “Always wanted a Bevolo.” Melane was able to manifest many of her lifelong house goals with this project, including interior walls made of Old St. Louis brick, and green restoration glass in her office. “It actually reminds me of something I grew up with in our family home; she had that green coke-bottle glass in the front door for years,” Melane recalls. 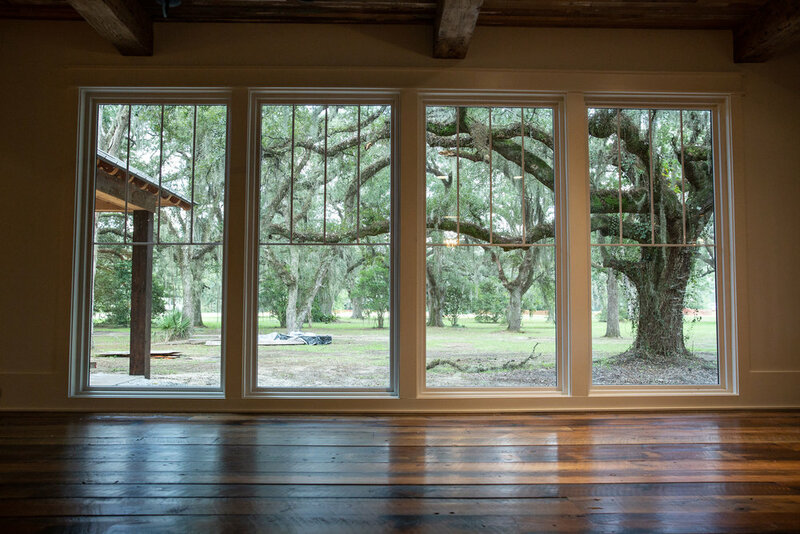 Floor-to-ceiling windows frame a stand of majestic live oaks—a reminder that despite its ingenious design flourishes, this Creole cottage is right at home in South Louisiana. A wide front porch complete with original gas lamps welcomes visitors to sit a spell—to enjoy the fall weather to come.